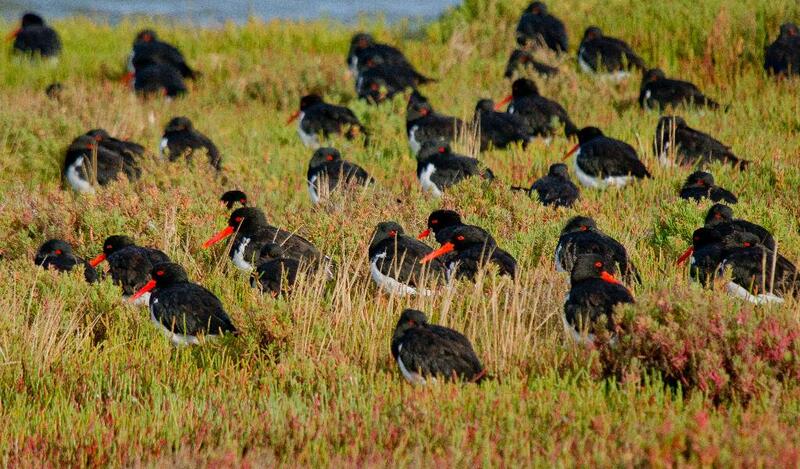 Birds in Tasmania: Pied Oystercatcher Roost. how wonderful to see them - so many - thankful we have these sites for them preserved!!! Alan, I was having a look at the AWSG website yesterday and came across your and Mike's article on Pied Oystercatchers around Hobart. Don't be modest, you should have posted a link on your blog! Very interesting.